This past weekend I took a trip to Durham that I’d been planning for months. You see, Paula Deen was coming to the Durham Performing Arts Center. I know that everyone has mixed feelings about Paula Deen but y’all, I find her completely entertaining. And that’s what she is, an entertainer. The show was pitched as her and her sons, Jamie and Bobby, telling stories and cooking food with too much butter. So my mom, my dear friend Megan, and I got tickets and we were SO PUMPED. You know where this is going. If you follow me on twitter you’ll have seen the disappointed tweets I sent out into the universe after she up and cancelled her whole east coast tour. Her excuse was something to do with a lousy production manager and not wanting to put on a sub-par show but frankly, after driving all the way to North Carolina to see her, I would have taken anything. I was devastated and angry and might not even watch her show for a while. I won’t go so far as to cut butter out of my diet, but I am definitely not pleased. With or without Paula I had other things planned in Durham, so I made the trek down. It was a great weekend full of lots and lots of margaritas, a few photoshoots, so much gossiping and catching up that I lost my voice, and time spent with some of my favorite people. I got to partake in some of my favorite Durham activities, try some new restaurants, and take in the 70 degree weather (which, after all this damn snow, felt like heaven). My mom convinced me to stay an extra day so I got back Monday night and much of yesterday was spent grocery shopping, editing photos from the aforementioned photoshoots, and recovering from the aforementioned margaritas. Which means that last night we dined on leftover turkey soup and some of my grandmother’s rolls. 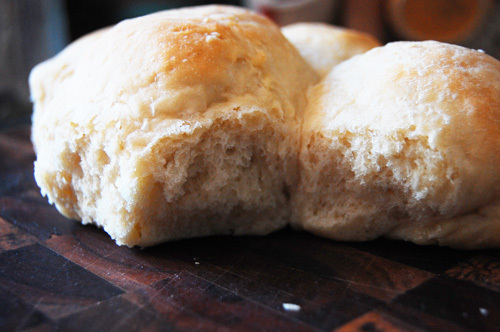 These are the perfect dinner rolls, fluffy and warm and ideal for paring with soups, stews, and butter. Butter that I will not be dedicating to Paula Deen. Scald the milk. Stir in sugar, salt, and shortening, remove from heat. 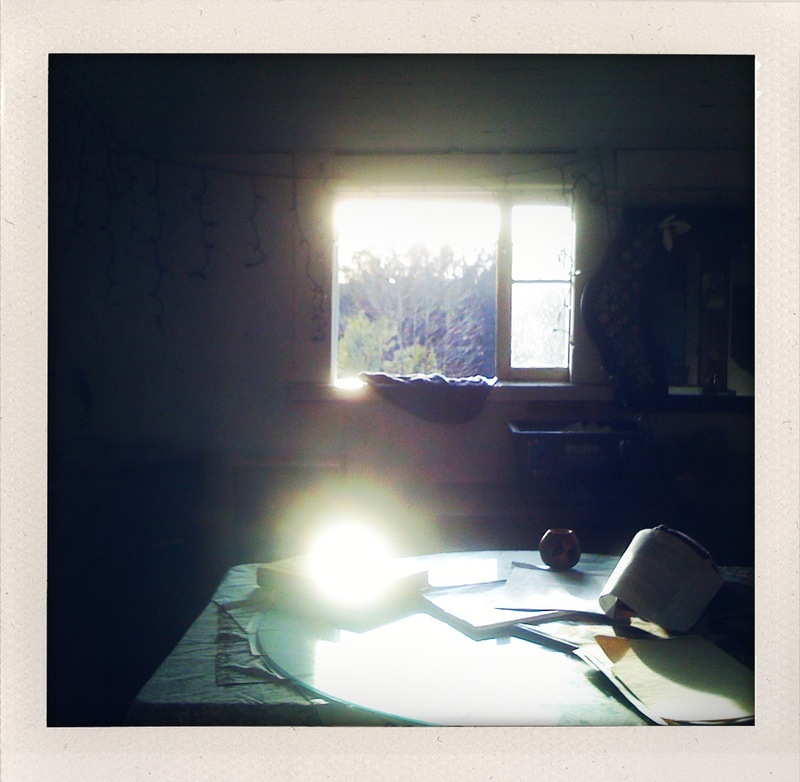 Allow to cool to lukewarm. Dissolve yeast in warm water. Stir into milk mixture. Add in egg. 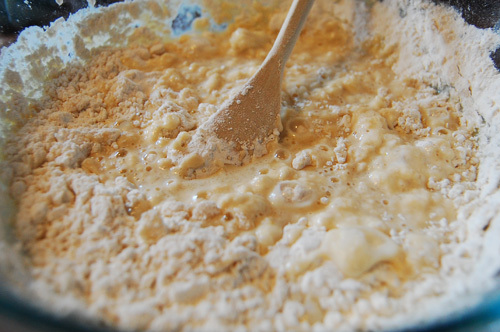 Stir in flour, 1/2 cup at a time, until a soft dough forms. Knead 10 minutes. Form into a ball. 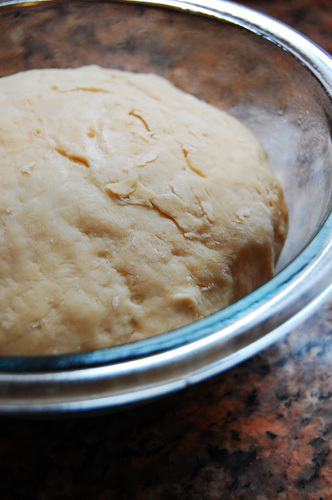 Grease a bowl and place the dough in, flipping once. Cover and let rise 1 hour. Cover a baking sheet in parchment paper. 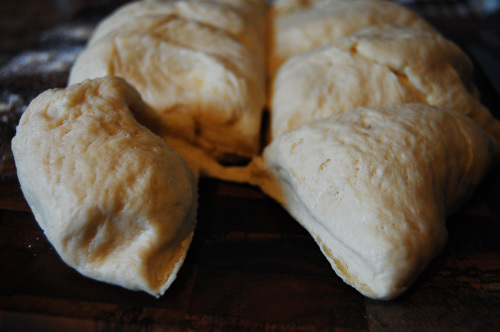 Divide the dough into 8-10 pieces. Form a ball by pinching the dough at the base of the ball so the top is tight. 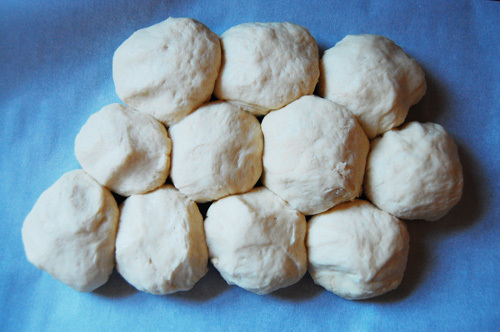 Cluster dough balls together on the baking sheet. Cover and let rise another hour. Brush the tops with melted butter. Bake at 350 for 30-35 minutes or until golden brown. Well darn! So sad about Paula canceling. But yum because I just discovered your blog and these rolls look heavenly!